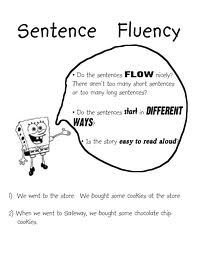 Sentence Fluency is the rhythm and flow of the language, the sound of word patterns, the way in which the writing plays to the ear, not just to the eye. How does it sound when read aloud? That’s the test. 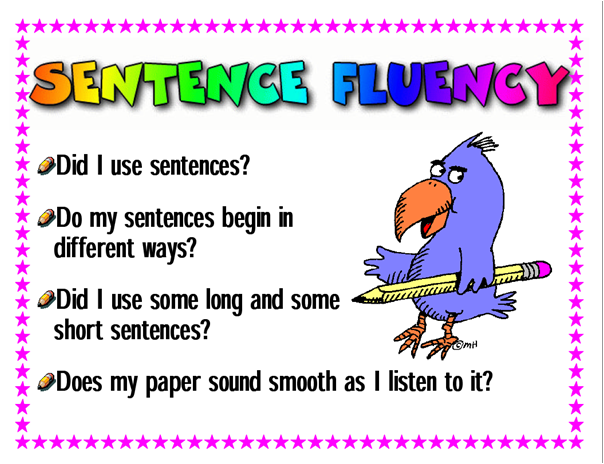 Fluent writing has cadence, power, rhythm, and movement. It is free of awkward word patterns that slow the reader’s progress. Sentences vary in length, beginnings, structure, and style, and are so well crafted that the writer moves through the piece with ease.